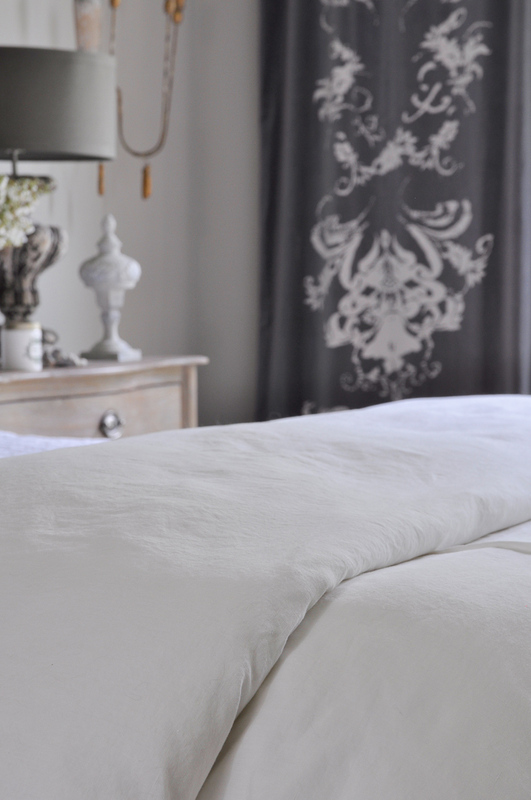 Is linen bedding right for you? I absolutely adore linen’s qualities. It is my choice for our home and I hope it will be yours as well if you happen to be in the market for a sheet set, coverlet or the like. Linen is made from flax fibers and has been around for thousands of years. It offers a unique breathability property in that it keeps you cooler in the summer and warmer in the winter. 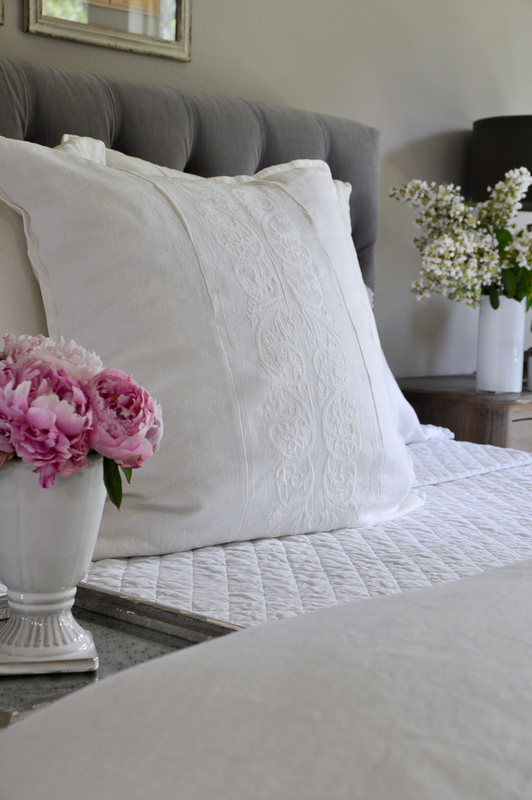 Linen is also more durable than your typical cotton bedding pieces. With proper care, it will offer a lifespan much greater than what you have come to expect from other fabrics. 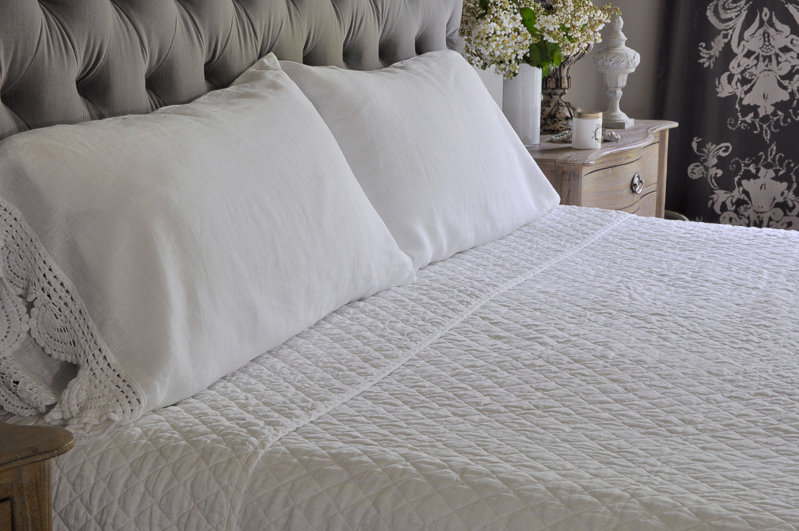 The more you wash linen, the softer it becomes, accentuating its sheer beauty and durability which could be compelling reasons to choose linen for your next bedding purchase. Additionally, linen is an environmentally friendly material which needs little to no irrigation during its growing process. Are you convinced yet? 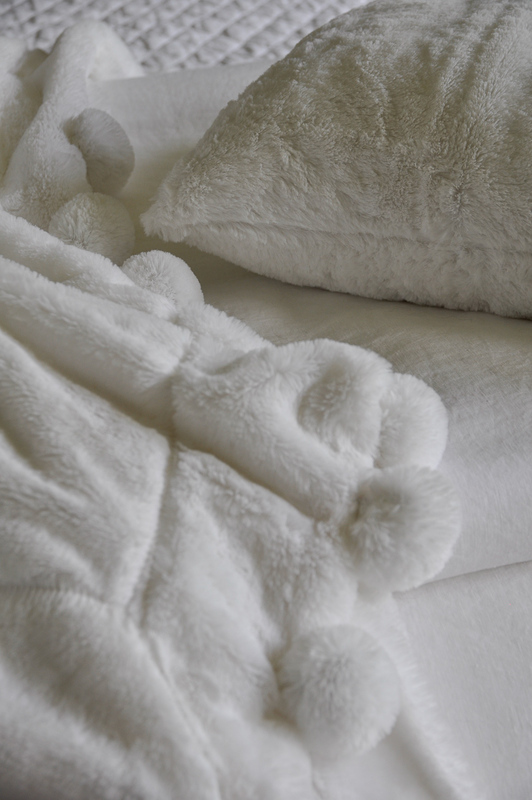 The linen bedding in our home is from Pom Pom at Home. In my opinion, their quality and beauty is unmatched in the industry. I was a customer of this amazing company long before the launch of this blog. 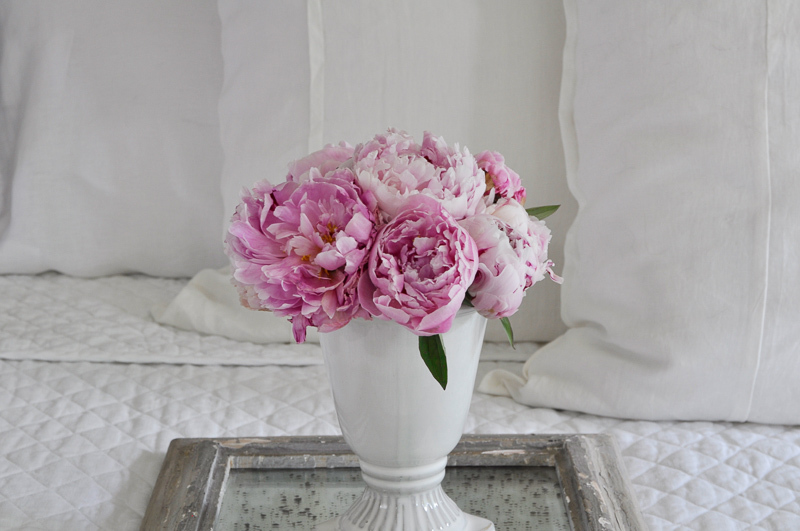 Today, in partnership with Pom Pom at Home, I want to share with you a few of the pieces I have acquired over time and show you the basics of how to make a beautiful bed. First I added my Hampton Coverlet to the bed. I’m usually stepping over a golden retriever, so in an attempt to keep it real, there is a helper in this shot. Her name is Aubrey. I love the length of this piece because it allows me to fold the top down for a layered look. I can style it numerous ways. Here, it’s folded into thirds. When it’s cold outside, it provides great warmth. Most days, I fold it like this. Now for the pillows. I begin with king shams. I have two styles of euro shams, Allegra and Louwie. I’ve used both styles in each of the three rooms in our home. Here, I simply stacked three in front of our king shams. You can see how the details of each linen piece compliments the next one. And another great thing about linen…wrinkles are okay! They give it that inviting “lived-in” look while remaining quite beautiful. I love the height they add. But I have one more addition…. This gorgeous Pom Pom Throw. Doesn’t it add the perfect finishing touch? 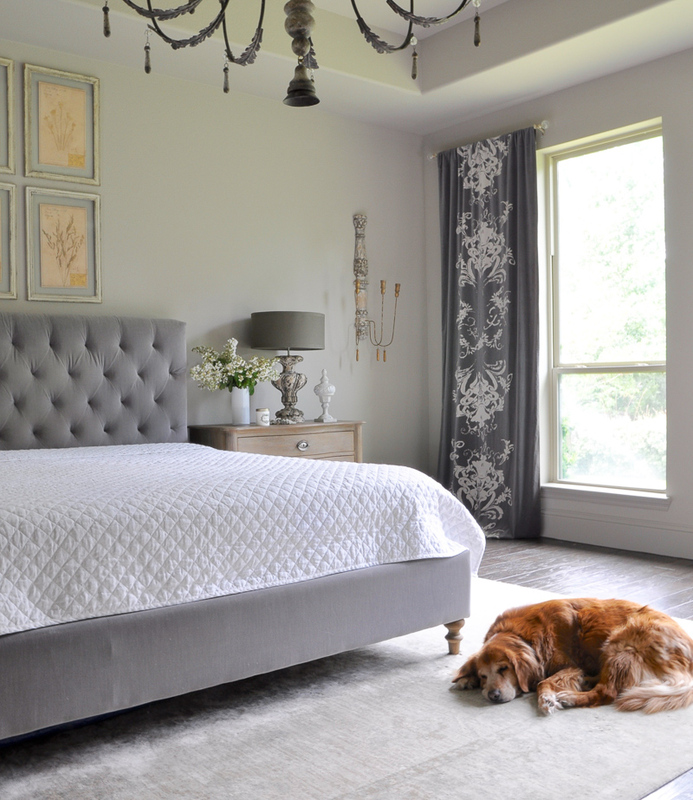 I hope you’ve enjoyed learning my basic bed styling steps. I love to find different ways to style my bedrooms. You can read more about that here. Before closing, I want to add a bit more about Pom Pom at Home. As a company, they embrace a passion for all things beautiful. During the creative process, their mission “to evoke a sense of romanticism, peaceful memories, and gentleness is always kept in mind.” The look and feel of their products is nothing short of luxurious bliss which is why I have been a customer for some time now. I also enjoy supporting philanthropic companies. Social responsibility has been implicit to Pom Pom at Home’s business model from the very beginning. 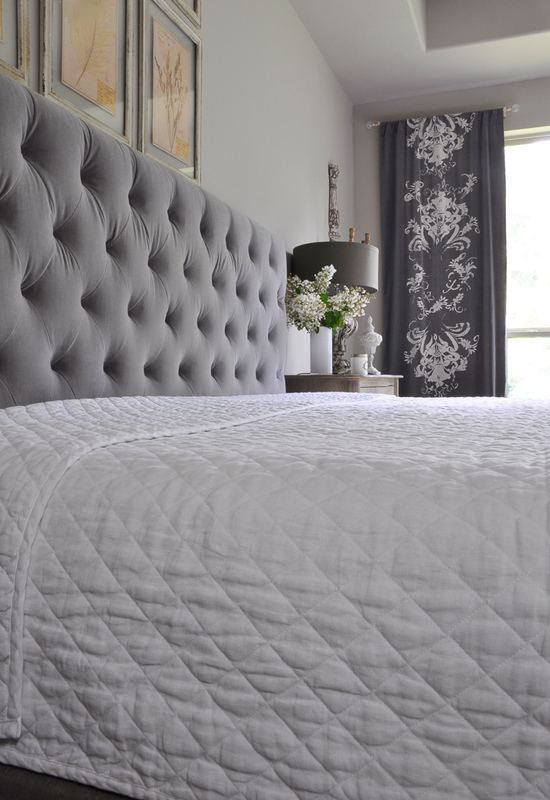 Their dual intent is to provide a luxurious sleep experience and to give back to their community. To that point, they have chosen to partner with Midnight Mission where they contribute both monetarily and with their time. You can visit Midnight Mission’s website here and learn more about this great organization. Thank you for visiting Decor Gold Designs! 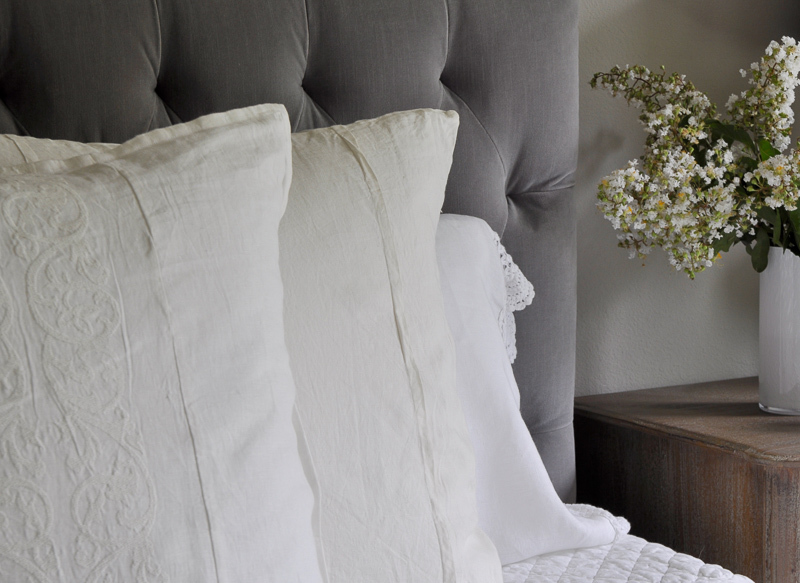 Jen, I adore your bed all decked out in this luxurious linen! I think the duvet cover my be my fav. 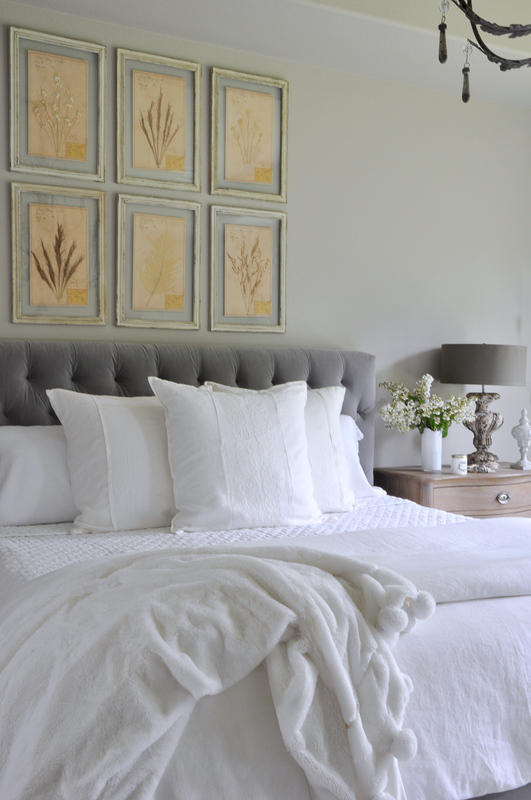 I will definitely be checking into some of these when I work on my last guest room in a few months- you have inspired me and I want this classic, clean look. Wow!! Thank you Kelley! I look all white bedding especially in the summer! I know you must too based on your perfectly done bedrooms! Can’t wait to see your next project! Jen, this is absolutely stunning and I can see why you love this company so much. 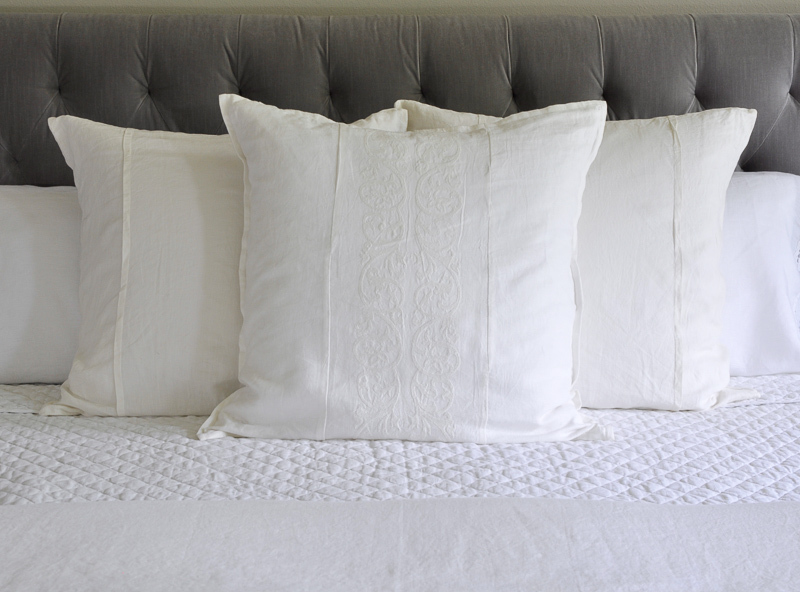 I, like Kelley, love the coverlet. It looks so luxurious yet cozy at the same time. Thanks for sharing more about this great company with us!! Thank you so much Bree! Their quality is unsurpassed! Jennifer Hi the bedding is beautiful but very costly. 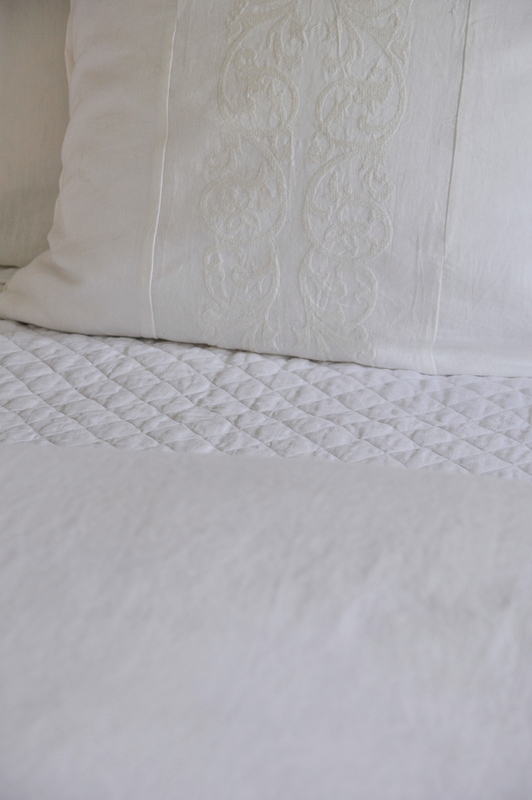 The diamond linen coverlet looks like Pottery Barns coverlet. Is it? 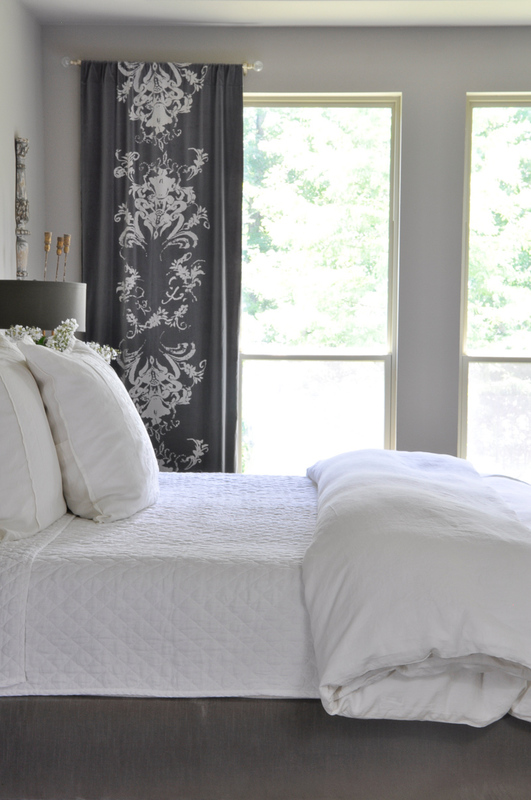 Also is the bedding a true white or an Ivory? Hi Jan! It is from Pom Pom at Home and the color is cream. It’s a beautiful shade of off-white. I actually have some PB linen pieces including a sham in the herringbone style. There is a difference. Nothing against PB at all, I just can see the difference and I believe Pom Pom pieces are worth the investment. I hope this helps!!! The link to the rug doesn’t seem to work. Is it possible to relink it? Also what size rug is that for a king sized bed? Thanks! Hi Melanie! Sorry about that. I fixed the link. We have the 9×12, but I wanted it to be large enough for the settee at the end of the bed. If you don’t have that size seating there, the 8×10 will be fine. Hope this helps. Hi! I love your article. I’m looking for a link to the actual bed you have in the photos. It is beautiful! Where did you purchase it? Hi Kathy! Thank you so much for your kind words! We purchased it 5 years ago. I don’t believe the exact bed is still in production, but I have one with a very similar style linked on my Sources page. Choose Master Bedroom from the dropdown menu.